Baptism preparation is offered as requested. Usually the parents are asked to meet with our pastor at the parish office in Calais. There is no cost for the session. When do Baptisms occur at St. Kateri Parish? Baptisms are usually celebrated during Mass on the first Sunday of the month in our parish. Parents may choose where they would like their child(ren) baptized. Must I be a member of St. Kateri Tekakwitha Parish to have my child baptized here? Generally, yes. Every Catholic should be a registered member of the local parish where he or she regularly attends Mass; and that parish is the place where the members of your family should normally receive the Sacraments. If you are not currently registered, but regularly come to Mass at one of our parish churches, (or are beginning to do so), you will be encouraged to register in St. Kateri Tekakwitha Parish. ***Please note: there is occasionally a situation in which parents who live far from St. Kateri Tekawkitha Parish who want to have a child baptized here because the majority of their relatives live here. This is permitted, but the parents must (1) be registered members of their own local parish; (2) complete the baptismal preparation required by their home parish; and (3) obtain the permission of their pastor for the Baptism to occur here in our parish. 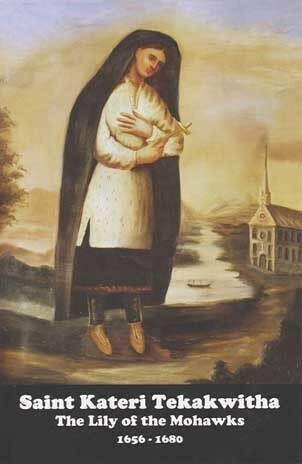 Please call the St. Kateri Tekakwitha Parish office at (207) 454-0680 and ask to set up an appointment with our pastor.